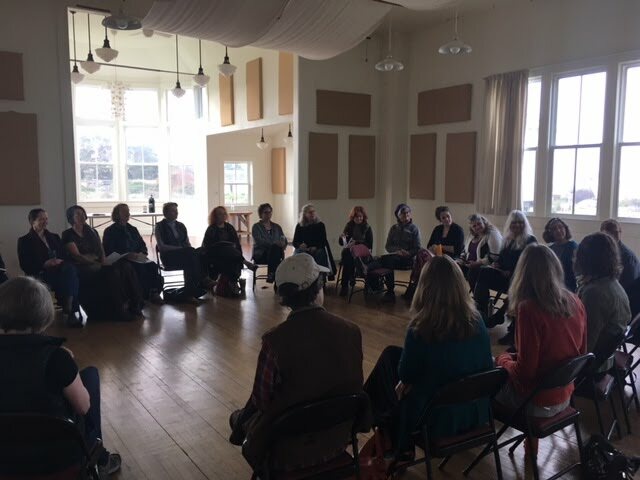 To provide a forum for women in business on the Mendocino Coast to share experiences and learn from each other to build a stronger business community. The Women in Business Network meets on the second Thursday of the month at the Caspar Community Center unless otherwise noted. We will have a guest speaker each month. Meetings will begin at 8:00am but doors will open at 7:45 am for networking. The first meeting is always free. After your first meeting, there is a $50 membership fee for the year, which includes a listing in the Membership Directory and the Business Directory on this website. If you are unable to join, additional drop in meetings are $10. At our April 13th meeting, Karin Uphoff will be talking about “How the Power of Plants and Natural Healing can sustain your business when you are the business”. Spring and plant medicine is sprouting under our feet! Karin Uphoff will talk about how to easily integrate the gift of the green into your day, flowers as food for the soul and nourishing your energy for the long haul with the power of plants. MCWIBN meets every second Thursday from 8-9 am at the Caspar Community Center. All women are welcome - the first meeting is free. Please come meet other women in business in our community as we look at solutions to our common challenges.